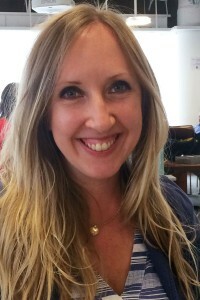 Rebecca, or Becky, O’Connor is a financial journalist and co-founder of money website Good with Money. A recent communications director for Trillion Fund, a renewable energy crowdfunding platform, Becky is also an award-winning personal finance and business journalist for The Times, where she spent eight years covering financial services. I try to make people think differently about money through blogs, guides, videos and social media’ing – so personal finance isn’t just about finding the cheapest or most profitable deal, but is the best all round product, for profit yes, but for people and planet too. Long term good value. Patient capital. Two marshmallows in an hour instead of one now… it’s a lot of fun and at the same time, a vitally important message. I was a personal finance journalist at The Times. I didn’t choose money, money chose me! Before I landed there I thought I was going to be a fashion or arts journo (what those journos don’t know is, personal finance is MUCH more interesting :)! Wake at 6 (thank you 1 year old), drink coffee, make food, get children dressed, take children and husband to respective nurseries/ stations/ nannies, squeeze in a dog walk, maybe get a washing load on, start work around 9.30. Work until whatever time the childcare runs out SOLIDLY. Return to being a mum for the rest of the day until they go to bed. I am freelance and have worked very hard to design my entire working life around my children. I am lucky that writing allows me to just about get away with this. It’s hard working and having young kids, whichever way you do it. And expensive because of childcare. But yes, writing, blogging etc, is a good job for a woman – you can feel as though you are everywhere and looking after your children all at the same time! Don’t hide your light under a bushel. Be interested in what other people are doing and how you can help them. Support those around you in the industry and they will support you back. No woman is an island. Don’t leave it all up to your husband. My mum did that and ended up without any pension (or possessions) when my parents got divorced. Money is not a man thing. Women are actually better at managing it. It can be a source of empowerment and confidence if you don’t shy away from it. Let it express who you are too.